Every month, Fulbright English Teaching Assistants (ETAs) submit highlights of their activities for that month. 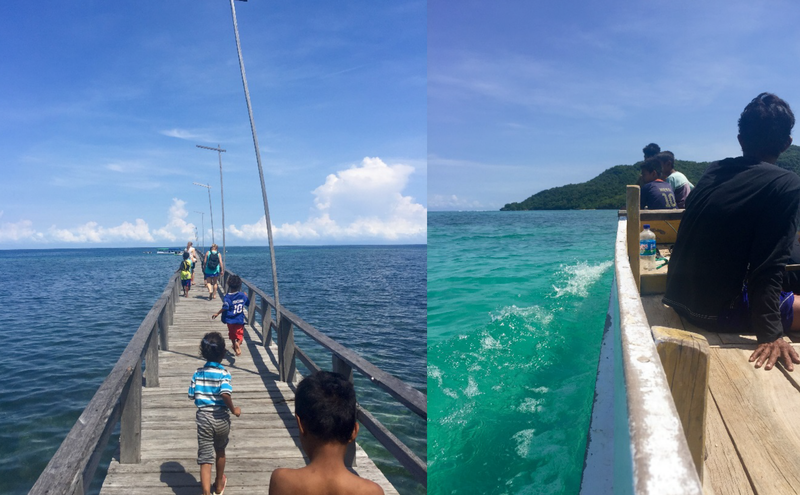 Since many ETAs are free from their teaching responsibilities during the month of December, the unofficial theme of 2016’s final installment of Monthly Highlights is “exploration.” ETAs across Indonesia took advantage of their free time to explore corners of the archipelago that are rarely visited by tourists. In addition to exploring their adoptive homes, many remained engaged at their schools by way of judging English competitions and attending other school events. For some lucky people, the holidays even meant visits from loved ones from home. 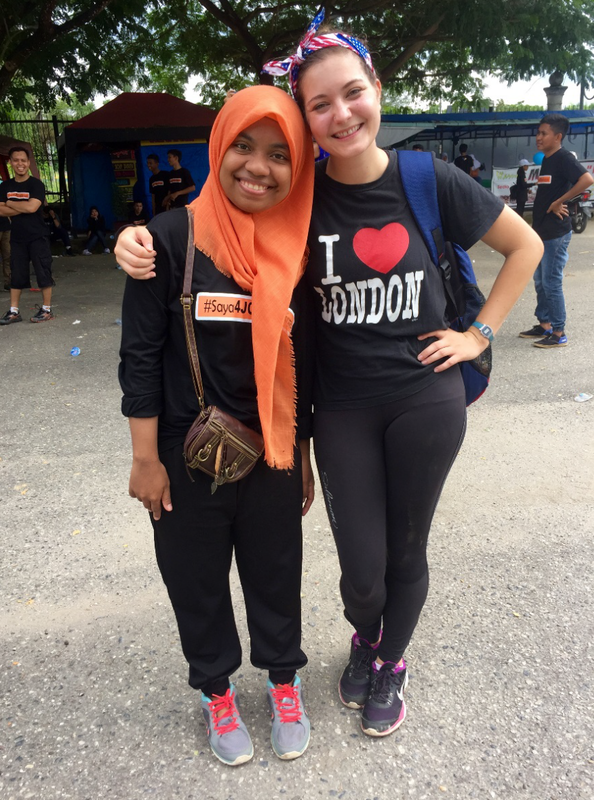 What else did these Fulbrighters get up to during their weeks of free time? Read on to find out! Merry Christmas from the land of Batak! The holiday season started early, at the end of October, and stayed busy throughout December, with extracurriculars in the dormitory cancelled for weeks so the students could prepare for Christmas. Some students chose to write, design and act in a Christmas drama. Others were in charge of decorating the dormitory for the celebration that parents and community members would attend. It was incredible to see the students building the decorations for weeks; various Christmas trees made from soda bottles, Alfamart bags, bamboo; a Santa sleigh built by hand, with accompanying reindeer and presents; lights strung across the assembly yard, the flag pole turned into a massive Christmas tree with a glowing star. 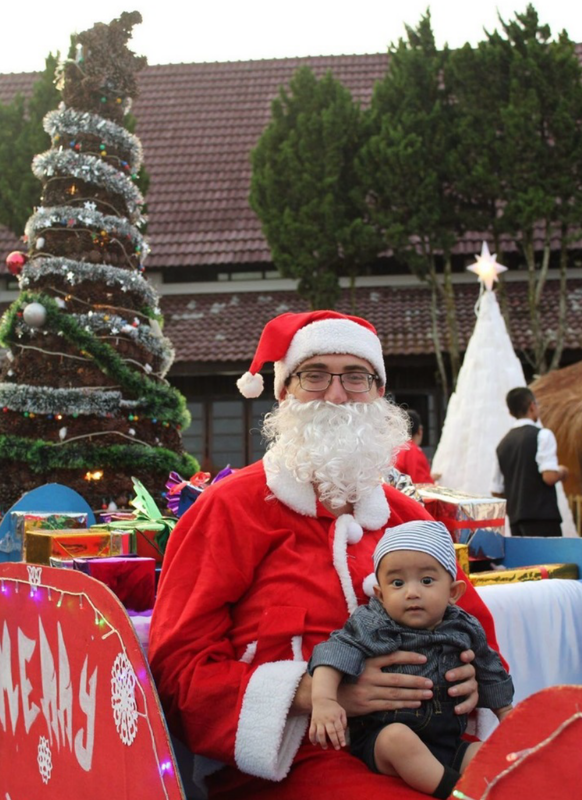 For the celebration, the students asked ETA Daniel Gerardi to be Santa Claus, hand out a few presents, chit-chat and take pictures with families. It was the second time he had played Santa this holiday season, so he was well-practiced in being extra jolly for all the photos. At the school, the students had also been busy preparing. Many students met for choir almost every day, and another group met weekly to work on their own Christmas performance. Daniel was asked to play Nommensen, a German priest who came to the Batak people in the 19th century. It was only a small part in the final act, but Daniel was nervously excited to take part. The celebration took place at HKBP Tampubolon, a church just outside Balige city, on December 15th. The student choirs sang beautifully, the performance went smoothly, the night was alive with camaraderie and spirituality. Daniel even sang Holy Night in Bahasa Batak after the service, thankfully with other teachers! It was a very different kind of Christmas for Daniel, but one he was extremely glad to learn from and participate in. The month of December brought abundant downtime for Pangkalpinang ETAs Lizzy Hardison and Kiana Ward, since both were relieved of teaching duties until after the New Year. They were able to use their vacation to explore Bangka Island with new friends from their site. One Saturday, they took an afternoon trip to Matras Beach in Sungailiat, an hour north of Pangkalpinang city. They swam until the sun set and then enjoyed dinner at Pauw’s, a popular Chinese-Indonesian cafe. It was a simple, carefree afternoon that kicked off a month of relaxing and exploring on Bangka. In early December, ETAs from across Indonesia gathered in Yogyakarta for a weekend of culture and recreation. On Saturday, December 3rd, ETAs Siham Abdi (Magelang), Jukie Tsai (Magelang), Shreya Kundur (Malang), Caroline Rose (Malang), and Kelly Fitzgerald (Sidoarjo) visited the Affandi Museum. While admiring the paintings and learning more about one of Indonesia’s greatest artists, the ETAs struck up a conversation with another museum patron. That patron turned out to be the biographer for Kartika, Affandi’s only daughter from his first marriage and a famous painter in her own right. When he offered to introduce the ETAs to Kartika, they eagerly accepted. After viewing her paintings and sculptures, the ETAs prepared questions for the artist. Kartika, then seated in the museum’s open-air cafe awaiting a photo shoot for her upcoming biography, happily entertained the ETAs’ questions about her work and personal life. She was a gracious recipient of attention and generous with her time. The ETAs are thankful for the opportunity to have met one of Indonesia’s living legends. On Thursday, December 8th, ETA Michaela Chinn and students and teachers of SMA N SSA 1 participated in Outdoor Learning, a one-day experiential learning opportunity for 10th and 11th graders. Students and teachers went to PT Sritex Sukoharjo and Museum Karst Wonogiri. Teachers and students learned about textile making and natural stones from Indonesia. 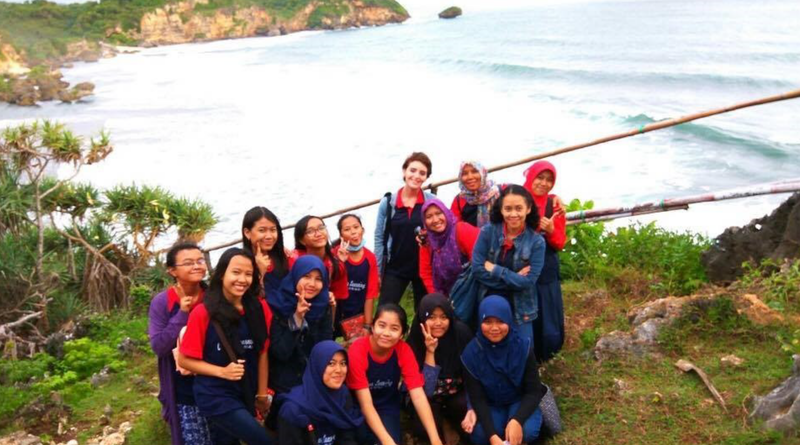 The day ended at Pantai Drini, Jogyakarta, where students and teachers enjoyed the beautiful sunset and ocean. For Michaela, the highlight of the trip was taking pictures with teachers and students at the beach. ETAs Sarahann Yeh and Matthew Poissant visited Bandar Lampung’s Lacofest to celebrate the agricultural and cultural significance of coffee in Indonesia. Lampung province’s Robusta coffee is often considered one of the best in the world, in addition to Lampung’s Civet coffee. At Lacofest, Sarahann, Matt, and several of their new Indonesian friends sampled coffee from many different Indonesian provinces. They even tried a blend of coffee and aloe vera (which the owner said would help clear up Sarahann’s freckles). Throughout the festival, there was a barista competition and several musical performances. Sarahann and Matt posed for promotional pictures at Dr. Coffee’s stand, one of their favorite shops in Bandar Lampung. Sarahann’s coffee of choice is Civet coffee and Matt’s is Robusta. 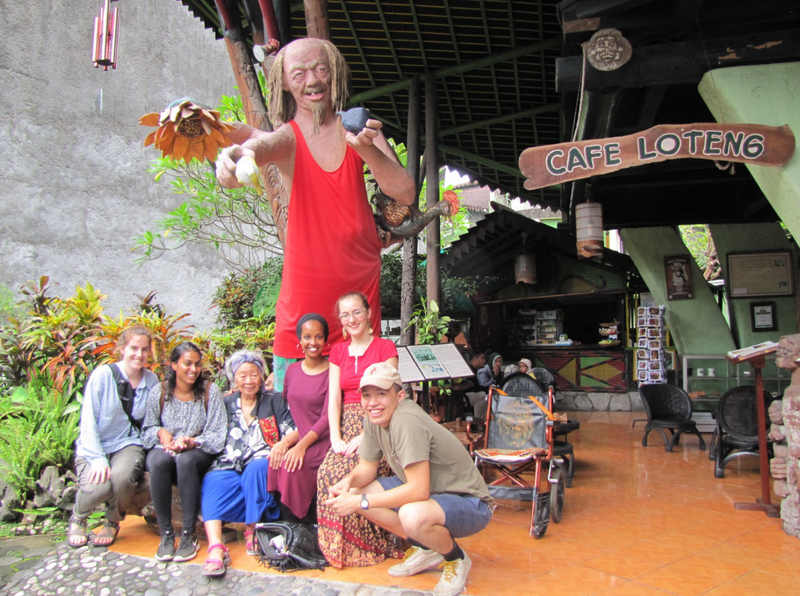 It was so special for ETA Kata Krueger to have her whole family visit her in Salatiga during the school break. She got to introduce them to her neighbors, friends, teachers and students; show them her favorite places in the area; give them new food to try; and do some exploring with them. Kata most enjoyed watching her students interact with her family, hiking around Gedong Songo with her family fellow ETA Michaela, and visiting Borobudur and Prambanan before flying to Singapore to visit family living there. The neighborhood boys were especially excited to meet Lexi, Miss Kata’s younger, single sister. They did their best to win Lexi’s heart by coming over every day to show off their dance movies and Uno strategies, but in the end, she won over their hearts by bringing bags of American candy and Legos for them. This will always be a special family memory for the Kruegers. 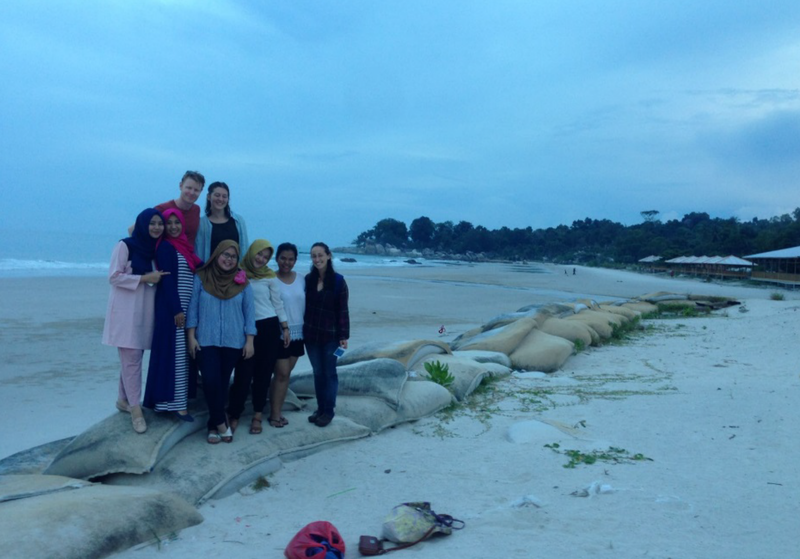 While December included a number of exams for students at SMK Negeri Jawa Tengah, ETA Kayla Stewart helped coordinate a grade-wide English camp before wrapping up the semester. On Saturday, December 10th, Kayla and ETA Edmund Pacleb helped give students a camp day to remember. Using school supplies, movies, and lots of candy, the ETAs tried to give twelfth grade students the most authentic American camp experience possible. Students completed a campus-wide scavenger hunt, played board games, listened to American music, and even tried s’mores! After taking a quick break for dinner (Edmund, Kayla, and Pak Aziz enjoyed Semarang’s best sate at a warung down the street), students returned for a movie night. 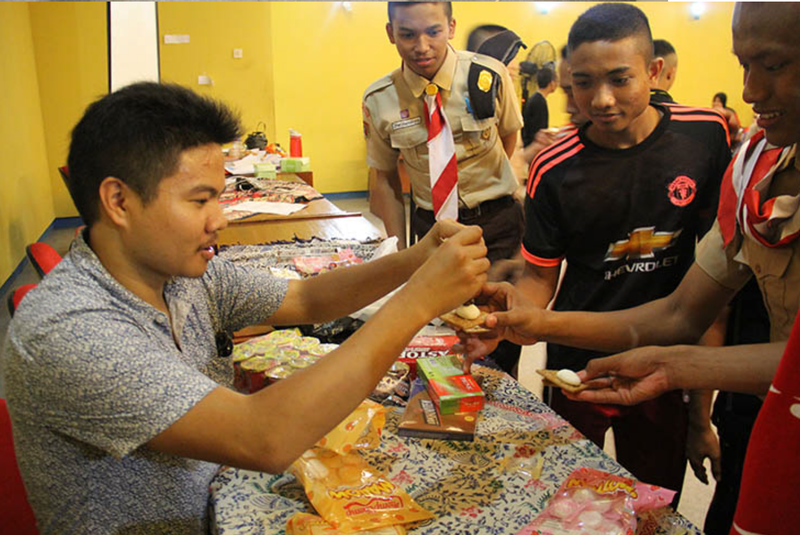 While enjoying leftover candy and traditional Indonesian snacks, students were inspired by the classic film, “The Bucket List.” The first English camp at SMK was a true success, and will likely be followed by many more. ETAs Samantha Geary and Anna Katomski explored their home region of Manggarai Barat in December with a trip to Gua Rangko. Rangko is a small fishing village about forty-five minutes outside of Labuan Bajo. Accompanied by Samantha’s parents who were visiting from the United States, the two ETAs drove motorbikes along bumpy roads, stopped in Rangko village to charter a boat, and then hiked a short distance to the cave. Once at the cave, everyone used a small rope to descend down into Gua Rangko. The best part of the trip was spending time with a handful of children from Rangko village. The children joined in on the boat trip, showed Samantha and Anna the best spots to swim in the cave, and snorkeled for clams. Samantha and Anna were very appreciative to have been able to explore another part of their beautiful region. It was an adventurous and wonderful day! On December 14th and 15th, MAN 2 Kudus held an Expo and Business Competition in the school’s gym, and ETA Vinny Owen was excited to attend. The general public was invited, and many MAN 2 Kudus alumni came back to enjoy the festivities. There was a lot of preparation that went into this event, and it was a big success. Each class had their own booth, where they sold something. 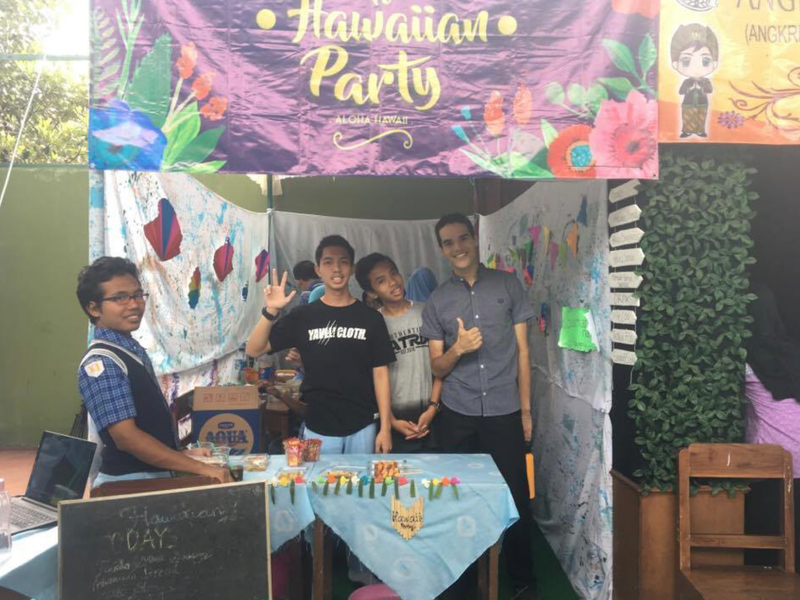 Most of the students were selling small Indonesian foods and snacks, but some had set up photo booths, and there was even a mini haunted house exhibit. The competition was to see how much money each class booth could earn, and there were other competitions as well, such as fan favorite booth and best decorated booth. There were also a number of performances on a stage, which ranged from student and teacher bands playing music, to skits and drama, solos, and even some rapping. Vinny enjoyed meeting everyone who came, as well as walking around the booths and talking to the students about their products. ETA Mackenzie Findlay helped judge several English competitions for her school during the Academic Competition held at the end of the first semester. Mackenzie judged two competitions: English Trivia and an English Speech competition. Both competitions were a highlight for Mackenzie in December because there was no class due to testing, and she was happy to still be able to come to school and interact with her students and fellow teachers. The theme of the speech competition was “Education” and she was inspired by several of the speeches she heard from her students. Mackenzie was thrilled to see her tenth grade students excel in the English trivia questions, even outperforming some of the twelfth grade teams. She is looking forward to assisting her students with more competitions in the spring semester, particularly the AMINEF WORDS Competition. Kupang is a city in Nusa Tengarra Timur and is known for beautiful beaches, which are also fairly untouched by tourists or even locals. Pantai Kolbano is one of those beaches and it’s located a couple of hours south of Kupang. The beach is extremely accessible as the road is completely paved the entire way, which is uncommon for many places on the island of Timur. The beach is known for having multicolored pebbles instead of sand and the water is perfectly clear, like most of the beaches near Kupang. 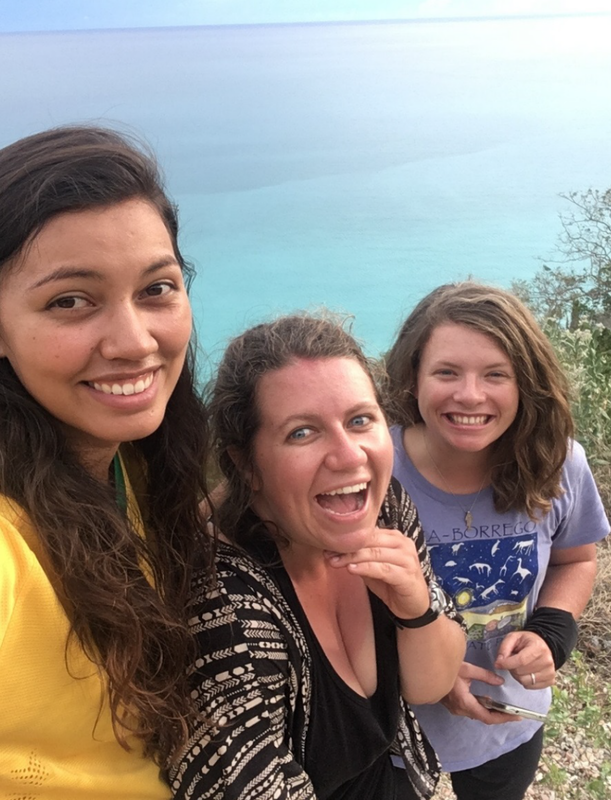 ETA Christal Clemens traveled to Pantai Kolbano in mid-December with her two good friends ETA Julianne O’Connell and Fulbright Researcher Flori. They enjoyed a lovely day at the beach and are planning to go back after rainy season. It was a beautiful beach and a very peaceful place, perfect for being santai [relaxed]. The students of SMA Khadijah in Surabaya, East Java ventured a few hours outside of the city to Trawas for English Fun Camp from December 15th through the 18th. 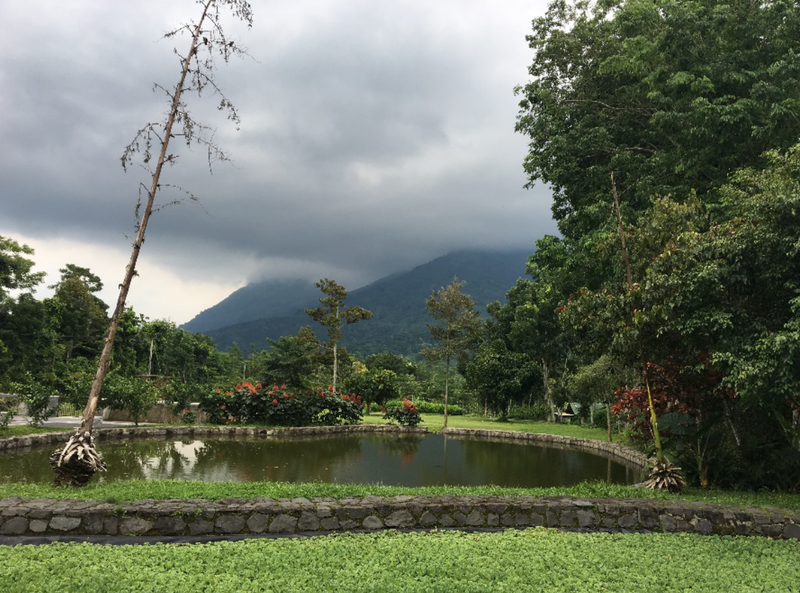 The camp was held at the UBAYA Training Center which is located in the cool, rolling mountains of the Javanese countryside. After a 4 a.m. wake up call, the students had full action-packed days of learning and fun. They participated in activities related to English lead by English teachers from SMA Khadijah, professors and students from Universitas Surabaya as well as ETA Krupa Patel, who did a presentation on Global Warming. The students also enjoyed outdoor teambuilding activities like canoeing, games and swimming while breathing in the fresh air. On the way back to Surabaya, the students and teachers stopped at Taman Safari to see fascinating animals from around the world. Overall, Krupa was grateful for this bonding experience with her students and fellow teachers outside of the school setting. In the warm, clear waters of the straight of Makassar / Java Sea are dozens of small islands which can be reached by small boat. Around many of these islands thrive coral reefs vibrant with fish of all colours, sea turtles, and glow-in-the-dark bioluminescent plankton. At night-time, the dark water resembles a night sky of shooting comets when walking down the jetty, with an electric spark lighting up every few seconds from the shallows. ETA Connie Ge went day and night snorkelling with a group of locals one weekend. 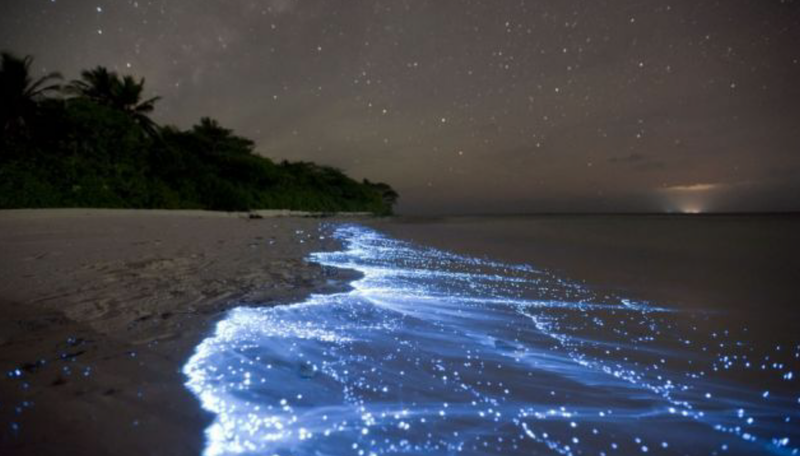 When the group swam around the warm waters at night-time, hundreds of mini sparkles smaller than the size of sand grains lit up upon contact with human skin, just like in the film “Maona” – which Connie and another teacher at SMK8 escorted a group of English club students to go watch at the theatre one afternoon. Connie appreciated watching a film with the school community wherein characters which resembled the local people were centered and in lead roles in the plot – versus used as supporting characters or a foiling backdrop. After watching the film, during the group discussion, the students mentioned a song from their own Buginese culture wherein maritime navigation is also integral to their way of life. December was a time for relaxing and traveling in ETA Katerina Barton’s town. However, before things settled down too much, Katerina’s Indonesian tutor, Ikon, invited Katerina and Shelby Lawson, another ETA in Kendari, to an event at her work on Sunday, December 18th. Ikon is an English tutor and her tutoring center was hosting a jalan santai to celebrate its birthday. (Everyone and everything in Indonesia has a birthday.) Jalan santai means “relaxed walk” in Bahasa Indonesia. It is a popular event in Kendari and usually consists of a group of people walking about 2-3 kilometers to celebrate something. Participants woke up early and started from Ikon’s workplace at 7 a.m. and walked to the largest meeting point in Kendari, MTQ. Once at the meeting point, everyone had a large breakfast of gado-gado (an Indonesian meal of rice, vegetables, tofu and egg covered in a sweet peanut sauce) and played games like tug-o-war and relay races with other students from the tutoring sessions. 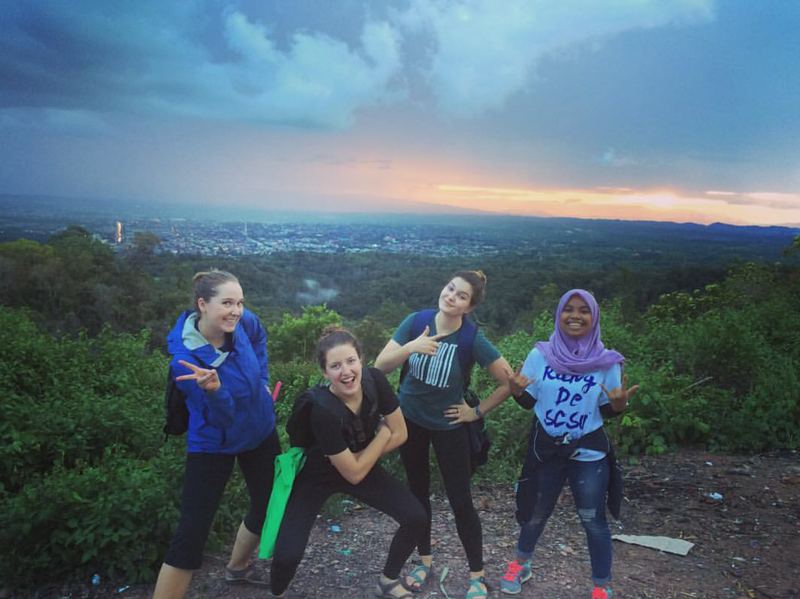 ETAs Shelby Lawson, Kate Barton, and Mackenzie Findlay spent a full day hiking up Puncak Amarilis to watch the sunset over their beautiful hometown, Kendari. 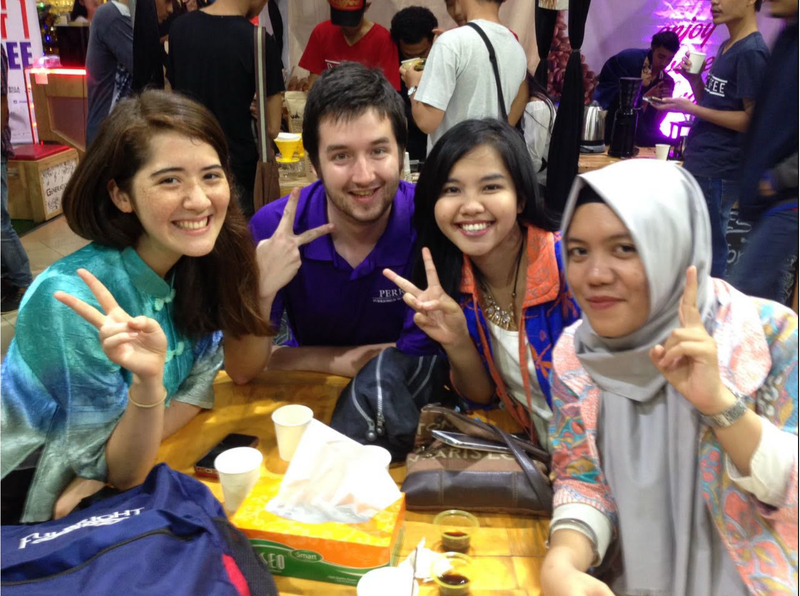 The gals went with some of their Indonesian friends from the local university. The exchange of culture and language is always present when this group gets together. 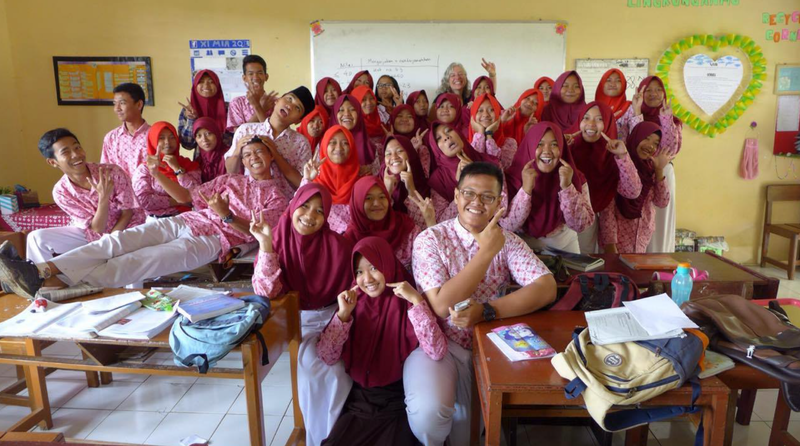 While the Fulbrighters help their friends with study abroad applications and English practice, the university students return the favor by showing them around Kendari and helping with their Bahasa Indonesia mastery. 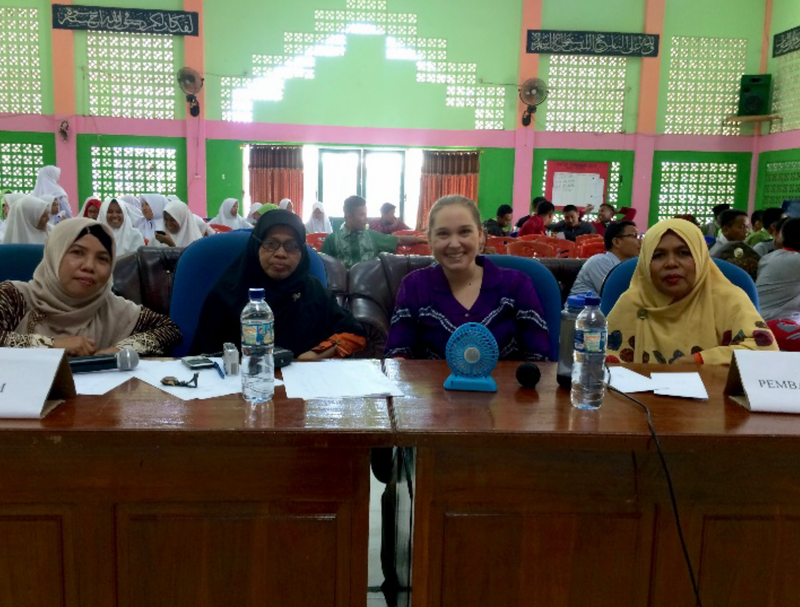 Exploring Kendari has been one of the highlights of their grant period when they aren’t teaching in the classroom. They look forward to many more adventures and explorations in the new year!